The following sections summarize the new features in STDM 1.7. STDM 1.7 is a full release which includes new exciting features as well as enhanced functionality and stability of existing features. 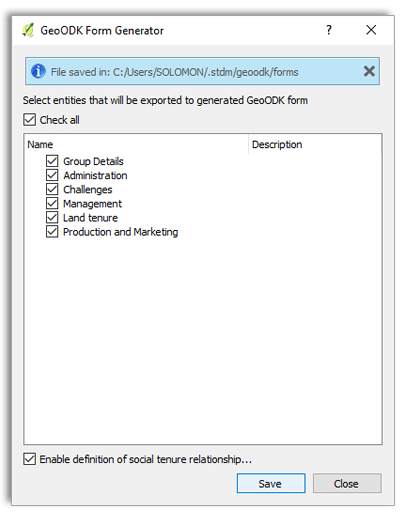 One of the key highlights is the integration with GeoODK where STDM data profiles can be directly exported to ODK XForms specification. 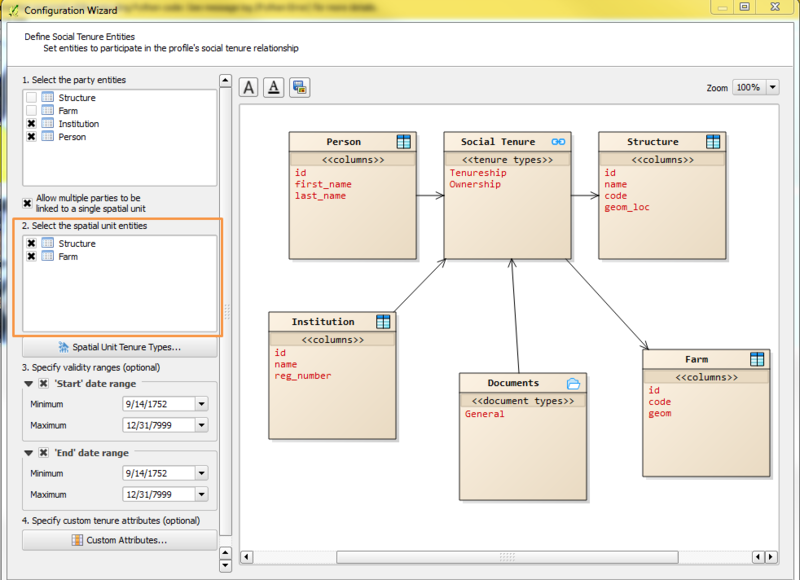 Other changes include additional options for customizing a data profile’s social tenure relationship; the ability to change the order of Entities and Columns; better integration with QGIS Attribute Table and styling, major bug fixes to the Documents Designer; inclusion of document template samples for the three sample STDM profiles; minor enhancements and bug fixes throughout the system. In addition, the user interface has been translated to French, Portuguese, Arabic and German. Mobile data collection is supported as a new feature in this release. GeoODK, ODK and Kobo Collect applications can now be used for data collection with forms generated from STDM data model (profile). This generated form conforms to the ODK standard and XFORM syntax supporting a wide collection of attributes such text, pictures, geographic data, list, numbers, barcodes e.t.c. 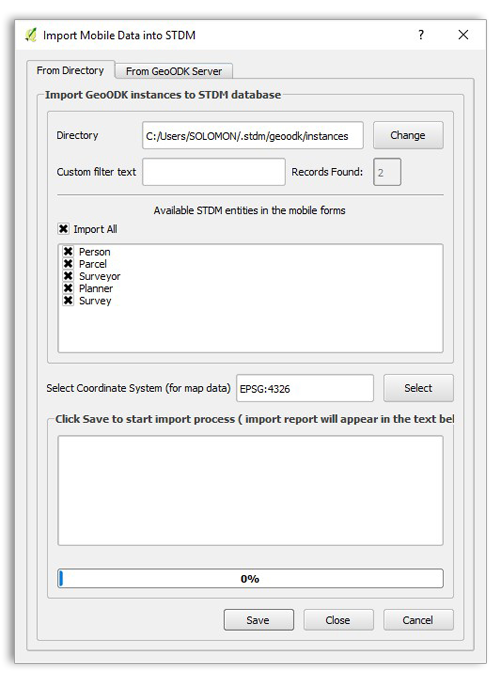 Additionally, the collected data can be imported into STDM using mobile data import wizard in a simple interface that pulls data from mobile device into the STDM database. Mobile support enhances the power of STDM creating a shift from pen and paper data collection so that data can be electronically collected using mobile devices and transferred into STDM in a simple user friendly interface. The mobile applications are freely available from Google Play. The user will only need to create STDM profile then generate the corresponding mobile form. Once generated, the form can be uploaded to mobile via USB cable to the application folder in the mobile device or fetched from an ODK aggregate server hosted within the network. Entities can now have customized labels. The labels can be more descriptive and user friendly than the entity names. With STDM 1.7 it is now possible to change the order of created entities and columns by simply dragging and dropping the items in the configuration wizard. The order for entities will be reflected on the STDM menu, while the columns order will be reflected in the data entry forms. Labeling of columns on a form is now easily customizable. You can now choose which label will appear next to a column field on a generated form. Normally, a label of a column is auto-generated from the value entered in Column Name field when creating columns. Now, with version 1.7, a new field called Form Label in the column editor allows you to change that behavior by letting you enter a value that will be used as a column label on the auto-generated form, see image below. Defining Social Tenure Relationship in the configuration wizard now has been improved to allow multiple spatial units for a single party or multiple parties. Prior to this, it was only possible to have a single spatial unit participating in a social tenure relationship. 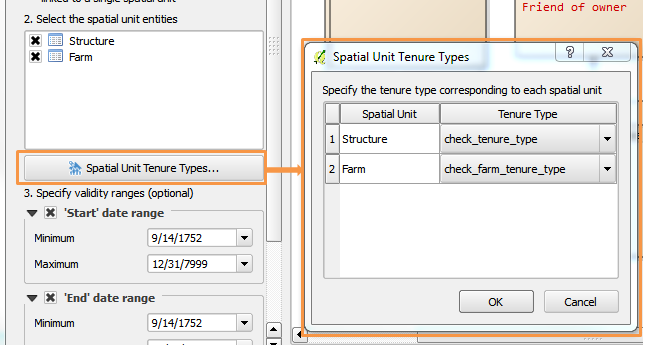 For cases where you have multiple spatial units, it is now possible to assign a specific tenure type for each spatial unit participating in a Social Tenure Relationship. 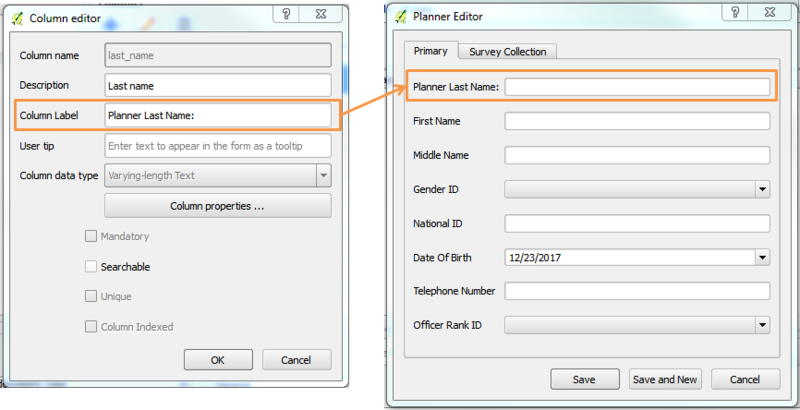 To add more flexibility to tenure information, STDM 1.7 adds a new feature that allows a user to add extra custom attributes to different tenure types when configuring a profile. 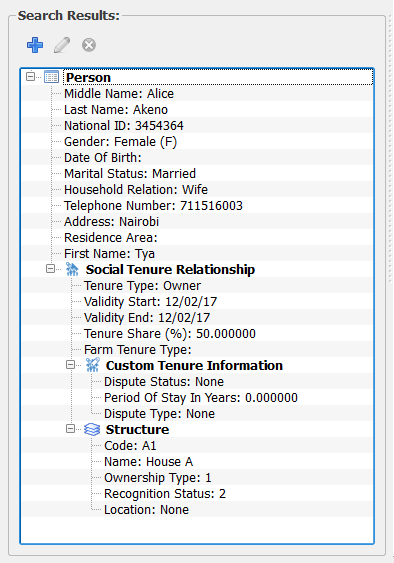 An example of such custom attributes on tenure types would include added information on a disputed property ownership. 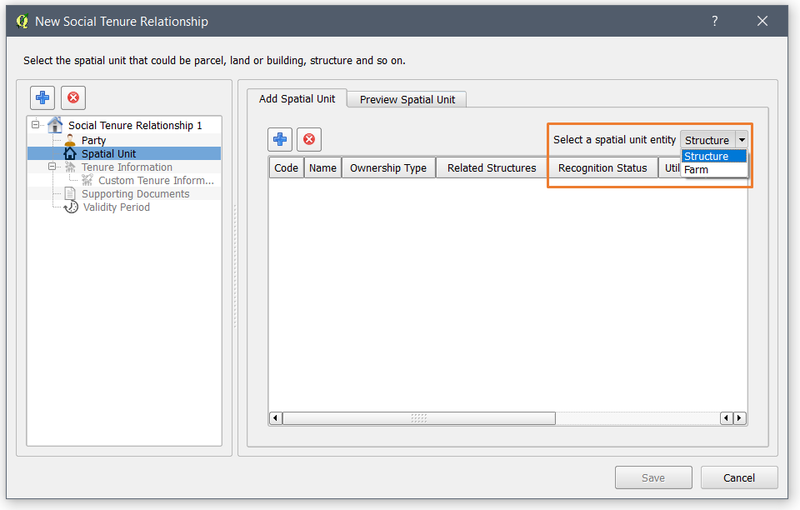 With ability to choose more than one Spatial Units in the Configuration, the Social Tenure Relationship editor enables a user to switch between spatial units to select applicable spatial unit records. This can be applied in profiles which have more than one spatial unit such as parcel and structure, farm and house, etc. See the illustration below. Another major addition to STDM 1.7 is the ability to add Custom Tenure Information that provides more freedom to add additional fields related to tenure. 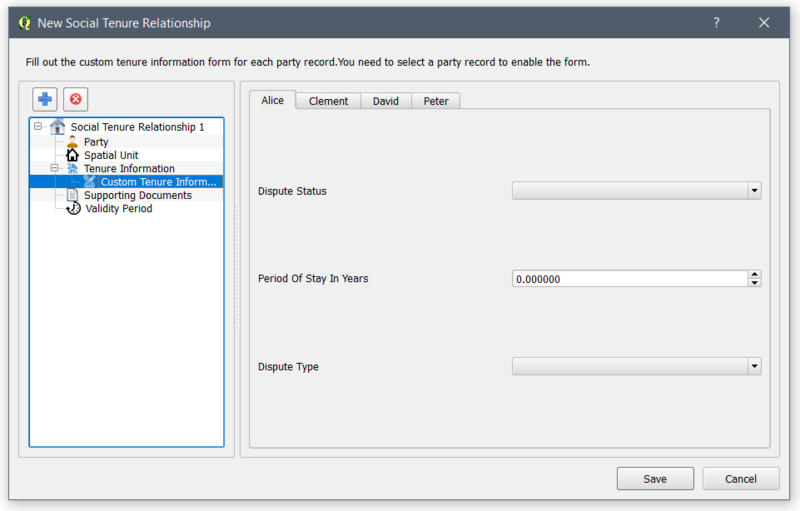 Consequently, the Custom Tenure Information form is added in Social Tenure Relationship editor as shown below. View Social Tenure Relationship has benefited from an improved performance with code optimization to the search query and display. 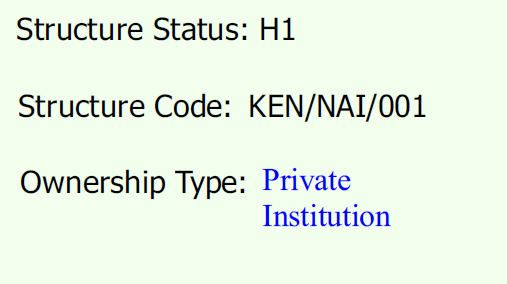 A Custom Tenure Information node also appears under Social Tenure Relationship item. 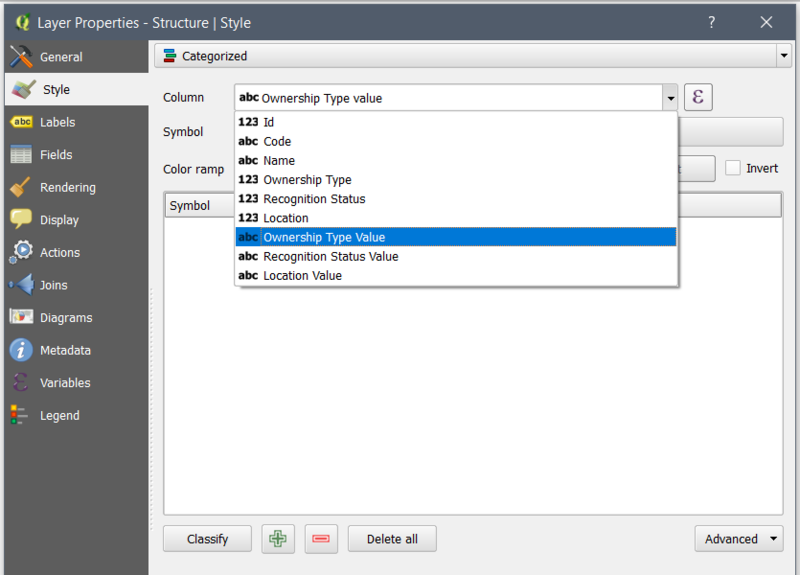 There is better integration with QGIS to style STDM layers using Lookup, Related Entity, and Administrative Unit columns. Previously these columns were showing ids of the parent table. By joining the parent tables to STDM layers, it is possible to show the values when in QGIS Attribute Table and under Layer Properties when styling layers as shown in the below. The GPS Importer is enabled by default to allow users to add or edit records from the Entity Browser. This reduces complication for users as useres are no longer required to add a layer to add a new record. Editing saved GPS feature is now possible which is very useful when a wrong feature is imported. 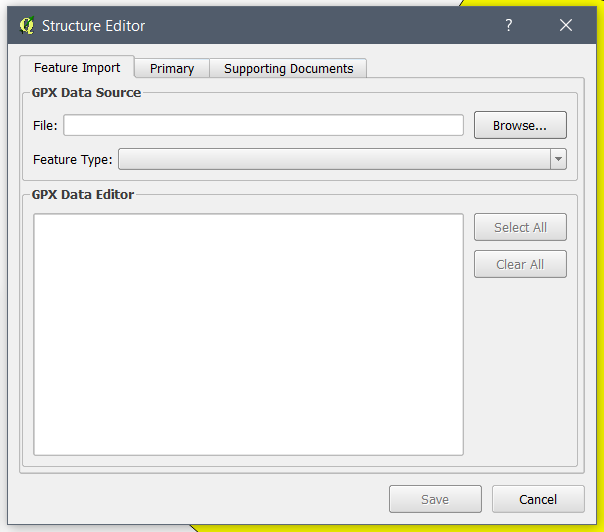 Users can just edit a record and import the correct one to replace the geometry saved earlier (see the image below). To make it easy for users to understand and design templates, new sample templates are incorporated. These templates can be extended in Document Designer and used to generate custom reports. Their names correspond to those of the spatial units in each profile. In previous versions of STDM, clicking on the save button results in a dialog asking the user to write the file name even though a file name is provided in the previous save. In STDM 1.7, a dialog is no longer shown if the file is saved. Instead the changes are applied in the same file. It is now possible to style and apply text wrapping on Data labels using HTML. To apply HTML, Render as HTML checkbox needs to be checked. 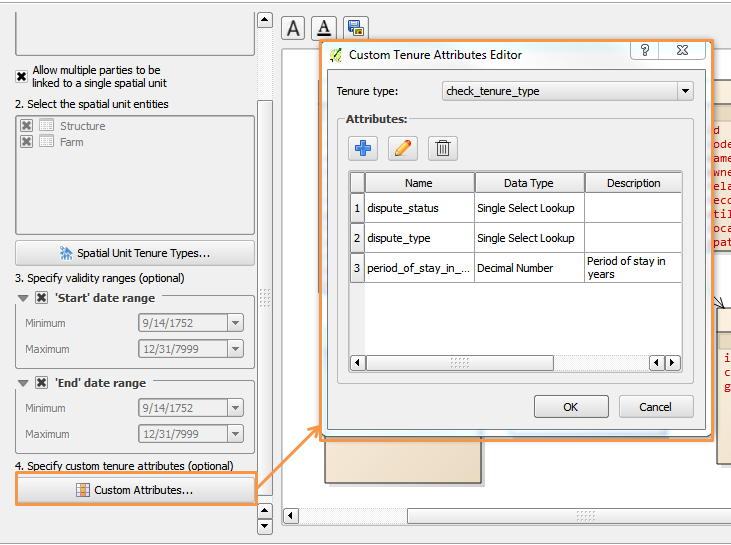 Text wrapping is already possible in Attribute Table using the Appearance options under Item properties. The above code looks like the following on the generated document. Users can now add text that acts as a label to the data label by adding it in front or after the data label. This reduces the number of items added to the template, which makes it easier to align, re-size, move items, etc. The image below shows example implementation. 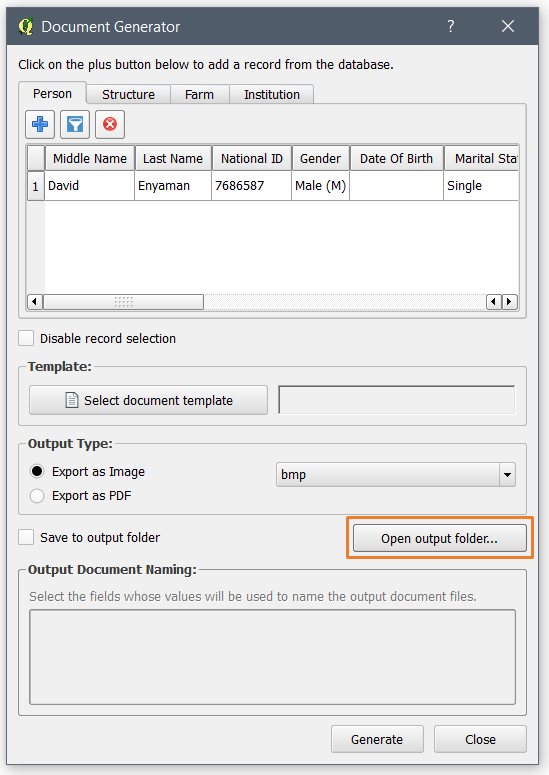 An “Open output folder” button has been added to enable users to open the output folder. See illustration below. The all-in-one installer for STDM 1.7 is built upon the following packages: PostgreSQL 9.6, PostGIS 2.4 and QGIS 2.18. STDM is also compatible with QGIS 2.14 and 2.16. See the links below for the full list of feature updates in QGIS. The STDM user-interface has been translated to Arabic, French, German and Portuguese languages. Lookup values and form data input can be specified in any UTF8-based language.